Imagine – you climb into the forest canopy to your take-off position then, after a deep breath, you’re suddenly rushing downhill propelled by a river of water flowing at over 20 liters a SECOND! 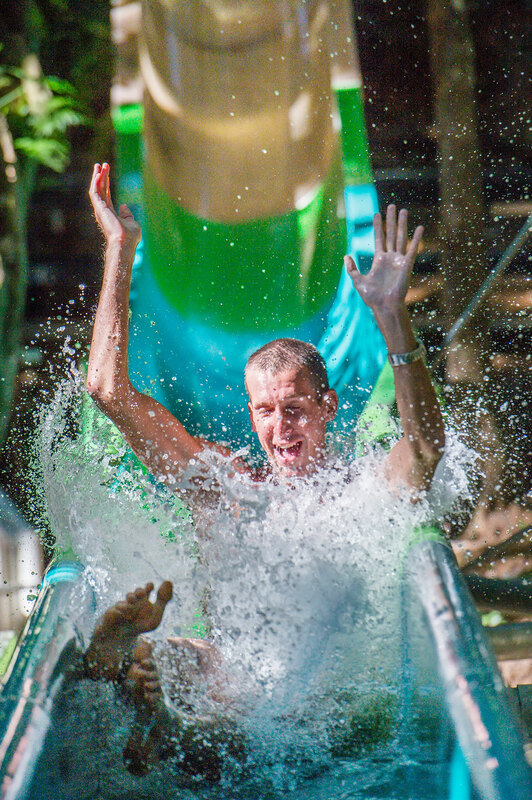 Kula’s Jungle Slide operates 7 days a week in all weather except high winds, so bring your swimmers (no tee shirts, belts, rivets or studs allowed) and be prepared for the wettest rush of a lifetime. Previous Post The kids are gonna get REALLY WET in the all new Kula Kiddies’ Splash Pool!